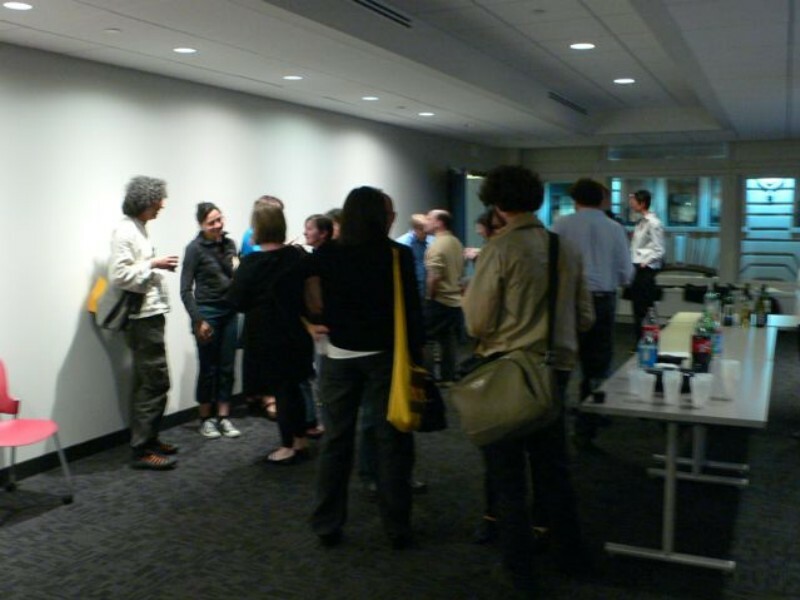 Participants enjoy wine and dessert at our reception after the Birth of Biopolitics roundtable discussion, May 2009. The Foucault Society hosts reading groups, lectures and conferences on topics related to the work of French philosopher Michel Foucault (1926-1984), studied critically within a contemporary context. Most events take place in New York City, but we have presented programs in Boston as well. All of our events are open to the public. Anyone with an interest in Foucault’s work or in critical social theory, philosophy, politics, history, and culture is welcome to participate. Please click on the menu tabs to view announcements from the Foucault Society’s events. In Bogotá, Colombia we are organizing a Conference named “Power, Life And Subjectivation”. It is about Foucault’s ideas of biopower, biopolitics, subjectivation and other of his more influential proposals. I would really appreciate if you, please, publish this information in your webpage. Also, I can send you a pdf document to an email with the full description of the event and all its information in english.